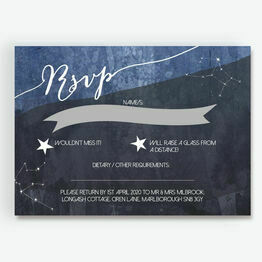 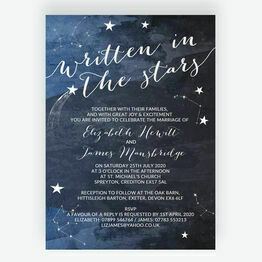 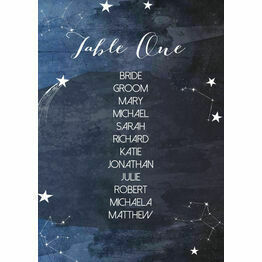 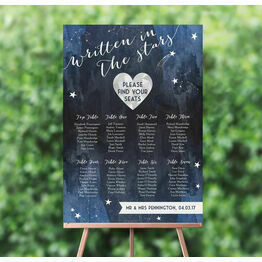 Our 'Midnight Stars' wedding stationery collection is one of our most romantic design ranges, with a celestial, stargazing theme. 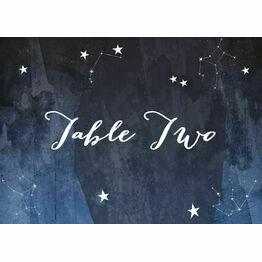 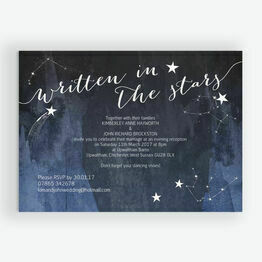 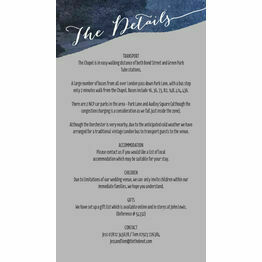 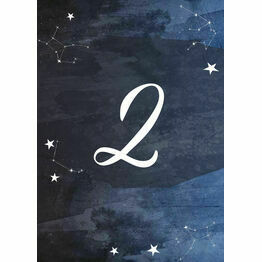 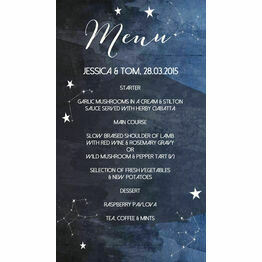 Deep blue watercolour hues, constellations in the night sky and elegant calligraphy feature across the invitation, save the date, table names and numbers and more. 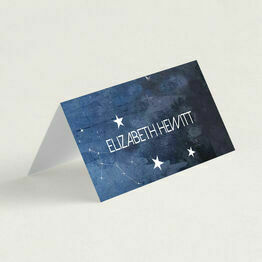 All items are available printed or printable.